As I'm typing this article, Venus and Serena Williams are facing each other in the US Open round of 32 at Arthur Ashe Stadium. Venus is 38, Serena is 37 (though she turns 38 in a month). Before the match started, the two had faced each other 28 times (today's match is the 29th). Serena leads their head-to-head matches 17 – 12. They are the only two women to face each other in four consecutive Grand Slam finals, having done so from the 2002 French Open to the 2003 Australian Open. Serena won all four of those matches. But who cares about winning tennis matches?!? How much money have these two earned in their 20 year+ careers? And who wins when they face off at the net of net worths? Serena has clearly been more dominate lately. But that wasn't always the case! 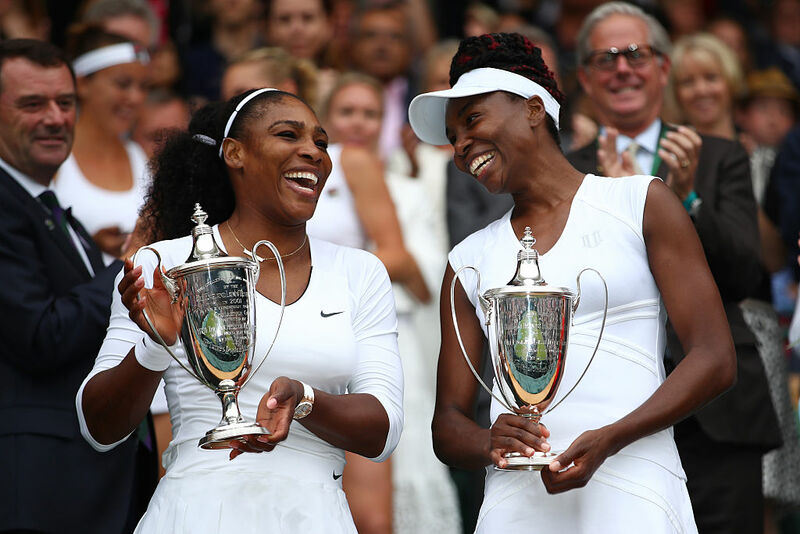 For much of their careers, it was Venus who many predicted would dominate the tennis world for years to come. Venus' career record as of this writing is 790 – 232. She's won 49 career WTA titles and achieved her highest ranking, world #1, in February 2002. She's currently ranked #16. Serena's career record as of this writing is 795 -135. She's won 72 career WTA titles and achieved her highest rank, world #1, in July 2002. She's currently ranked #26. In terms of on-court earnings, Serena is the clear champion with $86 million. Thats enough to make her the highest-earning female tennis player of all-time. Venus' career earnings are $40 million. Serena has also dominated in terms of endorsement deals. Serena consistently earns $15-20 million per year thanks to endorsements with companies like Nike, JP Morgan, Beats by Dre and Wilson. Venus earns roughly $5 million per year from endorsements. Both sisters are minority owners of the Miami Dolphins. As of this writing, Serena Williams has a net worth of $180 million. As of this writing, Venus Williams has a net worth of $95 million. When you add it all up, Serena is clearly the winner. Who do you think will win tonight? If recent history is any indicator, Serena will emerge victorious. Tennis star Serena Williams was so used to simply depositing checks at the drive thru of her local bank, she tried to do the same with her first seven-figure check.